The Henry R. Winkler Center for the History of the Health Professions at the University of Cincinnati is open by appointment only. For more information or to schedule an appointment, please contact us by email at chhp@uc.edu or phone at 513-558-5120. “During the course of his career as a surgeon and medical educator in New England and Ohio, Mussey assembled a remarkable personal library. In size and scope, the collection is equivalent to libraries maintained by hospitals and medical societies of the period. The inventory of the Mussey collection compiled at the time of its transfer to the University numbers 3,379 book, pamphlet and periodical titles. 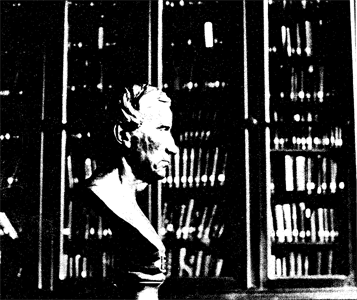 The Mussey collection is representative of medical book publishing and importation in the United States during the 19th century in its high percentage of British and French medical authors published between 1810 and 1850—decades during which American physicians and surgeons looked to Europe for direction in medical theory, clinical practice and surgical technique. It also exhibits the dramatic expansion of publishing by American medical authors post∼1850. This is especially evident in the publication of surgical texts during and after the Civil War, testifying to the expanded experience and knowledge gained by American surgeons as the direct result of this conflict. The Mussey collection is plainly the library of a surgeon…the “surgery” section of the mongraphs lists 210 titles but this provides only a partial view of the collection's surgical focus. If one examines the table of contents of almost any pre-Civil War surgical text, the chapter headings provide a surprising portrait of what fell under the surgeon's responsibility during the first half of the 19th century. In addition to the expected general and specialty surgical topics, one finds chapters on obstetrics & gynecology, venereal diseases, skins lesions and neoplasms, eye diseases, urinary tract disorders, venesection, etc. 1, 2Christopher Hoolihan. “The Reuben D. Mussey Collection at the Henry R. Winkler Center for the History of the Health Professions, University of Cincinnati Libraries.” October 2010.